Unlike that other 2010 movie that made such a big deal of explaining arbitrary rules for getting from one level of storytelling to another, "The Social Network" just does it. And you get it -- without the actors reading you instruction manuals encoded into dialog. It shifts backward, forward, sideways in time and space (with no "present tense" defined), through depositions, memories, e-mails, affidavits... and you may get temporarily/temporally thrown now and again, but it's not hard to follow. Again, unlike the science-fiction movie that preceded it into theaters in 2010, "The Social Network" is complex without trying to appear complicated. Indeed, its design and direction, the tools of its tale-spinning, are far more sophisticated, but less ostentatious. And more fun. And lead to a better life. Best Feature-Length Film  1. "The Social Network" 2. "Sweetgrass" 3." Carlos" 4. "Mother" 5. "Let Me In" 6. "True Grit" 7. "The Ghost Writer" 8. "The Kids Are All Right" 9. "Winter's Bone" 10. "Fish Tank"
11. "The Killer Inside Me" 12. "The American" 13. "Dogtooth" 14. "Another Year" 15. "Everyone Else" 16. "A Prophet" 17. "October Country" 18. "Life During Wartime" 19. "Last Train Home" 20. "Please Give"
Best Lead Performance, Male  1. 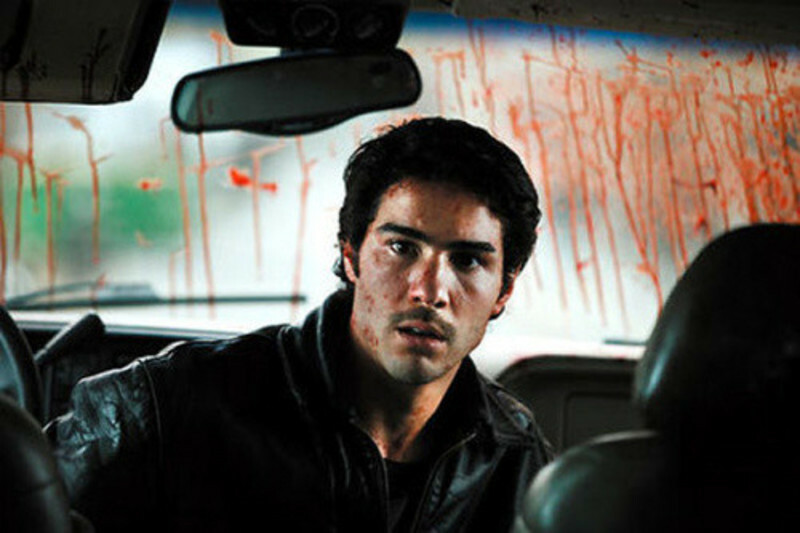 Tahar Rahim, "A Prophet" 2. Edgar Ramirez, "Carlos" 3. Jeff Bridges, "True Grit" 4. Jesse Eisenberg, "The Social Network 5. Casey Affleck, "The Killer Inside Me"
Best Supporting Performance, Male  1. John Hawkes, "Winter's Bone" 2. Matt Damon, "True Grit" 3. Oliver Maltman, "Another Year" 4. Ben Mendelsohn, "Animal Kingdom" 5. Richard Jenkins, "Let Me In"
Best Supporting Performance, Female  1. Mia Wasikowska, "The Kids Are All Right" 2. Olivia Williams, "The Ghost Writer" 3. Ruth Sheen, "Another Year" 4. Rebecca Hall, "Please Give" 5. Jacki Weaver, "Animal Kingdom"
Best Direction  1. David Fincher, "The Social Network" 2. Olivier Assayas, "Carlos" 3. Joel and Ethan Coen, "True Grit" 4. Bong Joon-ho, "Mother" 5. Andrea Arnold, "Fish Tank"
(film or video) 1. Roger Deakins, "True Grit" 2. Daniele Ciprì, "Vincere" 3. Martin Ruhe, "The American" 4. Robbie Ryan, "Fish Tank" 5. Greig Fraser, "Let Me In"
Best Editing  1. Angus Wall and Kirk Baxter, "The Social Network" 2. Luc Barnier and Marion Monnier, "Carlos" 3. Roderick Jaynes, "True Grit" 4. Nicolas Chaudeurge, "Fish Tank"	5. Moon Sae-kyoung, "Mother"
1. Carter Burwell, "True Grit" 2. Tindersticks, "White Material" 3. Olivier Assayas (and The Feelies, Wire, etc. ), "Carlos" 4. Trent Reznor and Atticus Ross, "The Social Network" 5. Lee Byeong-woo, "Mother"
Best Cinematic Moment  1. The sheep notices the camera and stares -- "Sweetgrass" 2. The slow, "Aguirre, the Wrath of God" super-zoom on the face of a mountain, and the tiny trail of white ants -- er, sheep -- descending it -- "Sweetgrass" 3. A cowboy's miserable phone call to mom, from the top of a mountain -- "Sweetgrass" (yes, I think my three favorite moments of the year were all from "Sweetgrass") 4. Mother stumbles through a field, then begins to sway -- the opening shot of "Mother" 5. Mark Zuckerberg's long analog walk from the pub to his dorm after being dumped by his girlfriend in the opening scene of "The Social Network." 6. "I love you. Good bye." -- the brutal tenderness of the love/murder scene in "The Killer Inside Me" 7. Mom's boyfriend (Michael Fassbender) gives Mia (Katie Jarvis) a lift on his back that becomes a slo-mo horseback ride into the shadows of the deep, dark woods -- "Fish Tank" 8. Climbing the bars to scatter letters in the snow at night -- "Vincere" 9. Blackie's nocturnal ride through the valley of the shadow -- "True Grit" 10. One car left on the ferry -- the opening sequence of "The Ghost Writer"